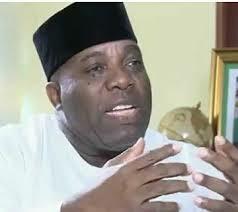 Former Senior Special Assistant to former President Goodluck Jonathan on Public Affairs, Dr. Doyin Okupe, yesterday disclosed that the former president approved all the funds he received from the office of former National Security Adviser, Col. Sambo Dasuki (rtd). Besides, the former presidential aide faulted reports in some national dailies that the Economic and Financial Crimes Commission (EFCC) interrogated him on alleged fraud of N162 million and N85 million. He disclosed this in a statement he issued yesterday, explaining how he collected N30 million as his takeoff grants, N10 million for the running of his office and another N10 million furnishing his office. In the statement, Okupe said the initial N50 million “was approved by the president to be paid to me from his security vote. N10 million was to furnish my rented living apartment and another N10 million for my office. The balance N30 million was approved as takeoff grant for my office. “The N10 million I received from the Office of the NSA monthly was to run my office, pay salaries of staff, including overheads, pay expenses for our numerous press conferences, pay for publications in newspapers, magazines, local and foreign, television programmes, bulletins, and media consultants who assist and facilitate our work. He said he further explained to the former president that he “was no longer in a position to keep running a one-hour NTA network programme called INSIGHT which was aired 9-10 a.m. every Friday and some other days of the week. We paid NTA about N1.2 million monthly for airtime. Two presenters were paid N600, 000 monthly. We paid for tapes and editing per programme. “Besides, we also pay honorarium for guests either directly or inform of hotel bills for those outside Abuja, or transportation. This cost averagely N500, 000 weekly or about N2 million monthly. The former presidential aide expressed shocks at reports, which he said, claimed that the anti-graft agency interrogated him on alleged N162 million and N85 million frauds. He said: “I saw strange figures like N 162million fraud, N85million fraud in the Media. Also mention was made of some alleged dubious payments of N13million and N65million from contracts supposedly obtained from Chachanga Local Government Area in Niger State. “The fact, however, is that my company Romix Soilfix was one of the over 20 construction companies who were duly awarded contracts for rural roads some five years ago by the Niger State Government.